Wrongful Death | Eduardo De La Cruz-Munoz P.A. After the loss of a loved one, you may face both emotional distress and financial difficulties. If you have suffered through the death of a loved one due to the negligence of another person, contact the Law Office of Eduardo de la Cruz Muñoz, P.A. to seek help in recovering compensation for your losses. 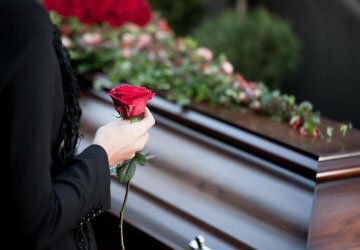 In Florida, any relative who was dependent, financially or otherwise emotionally, on the victim of a wrongful death can file a lawsuit. With that said, when an individual dies due to the negligence of someone else, their family members may seek monetary damages in compensation for their financial and emotional losses. In wrongful death cases in the state of Florida, there is a time limit within which to file a suit. Thus, although we understand you may still be grieving, it is important to contact an attorney at your earliest convenience in order to preserve your eligibility to file a claim. Negligent behavior while driving may be detrimental to the lives of others, causing serious or even fatal accidents. Driving while under the influence, driving while distracted, reckless driving, manufacturing defects, as well as defects in the design of the roadway are examples of behavior or circumstances that may cause a car accident. Truck accidents are often extreme and many result in fatalities. When a truck accident occurs, you and your loved ones may be entitled to both financial and punitive damages. Workplace accidents that result in death may occur due to driving, construction, industrial accidents, maritime accidents, aviation accidents, and so forth. If the actions, mistakes, or omissions committed by a medical professional resulted in the death of your infant at birth, you may have a wrongful death claim. When a medical professional's actions or omissions directly result in the death of their patient, you may have a wrongful death by medical malpractice lawsuit. If you've lost a loved one due to the negligent or reckless behavior of another individual, your family may be entitled to both economic and non-economic damages. Economic damages are intended to cover the loss of financial support for the surviving family members of the victim. Economic damages may include the loss of the deceased's future earnings, the loss of an inheritance, the loss of benefits, as well as medical and funeral expenses. Non-economic damages are intended to cover the impalpable losses experienced by the victim's family. Non-economic damages may include the loss of care and nurturing, pain, suffering, mental anguish, as well as the loss of love and companionship.